What do our clients & the press say about CSP? Your feedback is not only essential for us to improve our practice but also highly useful for patients seeking the same cosmetic procedure you might have had. 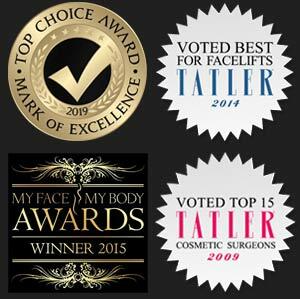 If you have had cosmetic surgery with any of our surgeons please help offering your review on our cosmetic surgery directory and social media pages such as google and facebook. Liking and sharing our posts not only helps our promotion but also helps to educate people about how to prepare for something as serious as cosmetic surgery. It is useful if you can include the name of the surgeon and procedure name, feel free to go into as much or as little detail as you like. Some of our patients are so happy with the results of their cosmetic surgery that they have chosen to go public with their stories. The patient case studies present an insight into the entire patient journey from initial booking up till the post operation follow up consultation at 6 weeks. They include in-depth video interviews with the patients where you can get a better understanding of their motivations behind surgery, how well they were looked after by our nurses and surgeons and general feedback after surgery. 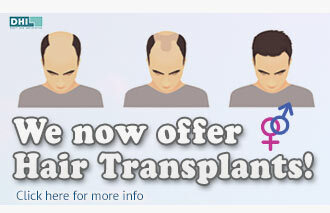 You will also find before and after photos, comments from the surgeon and much more. To begin your journey click on one of the case studies below. 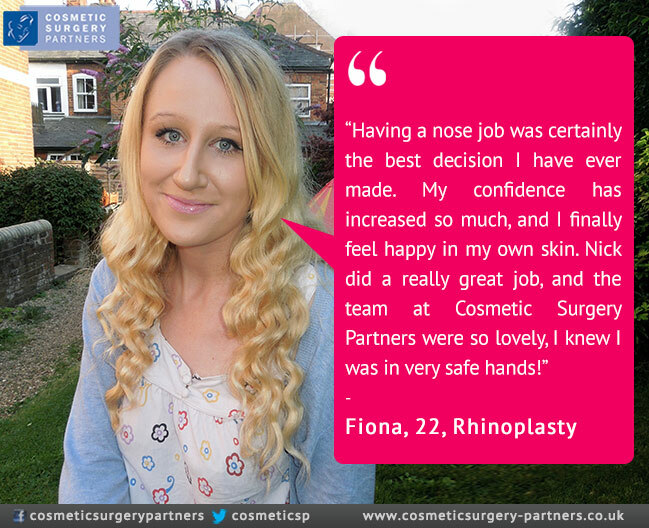 I would not hesitate to recommend Cosmetic Surgery Partners. From consult to aftercare, I was treated exceptionally. My Abdominoplasty with Miles Berry was the best decision I have ever made and I'm delighted with my results. The entire practice staff are a credit to themselves and I was always made to feel at ease. I can't tell you how happy I am having had this surgery. I did my research and went to the best for such an important operation. Miles Berry and his team far exceeded my expectations and I actually enjoyed the whole process; every step of the way I felt respected, supported and safe. And the results are amazing, which means I feel confident and happy with the new me. I can't thank you all enough. hesitation in recommending him to others. I could not be happier with the finished result, I look and feel fabulous. How life changing the surgery was. my shoulders and top half felt so light. a huge weight was lifted from my top half. The whole experience was very simple and pain free. I have a new found confidence and feel so delighted .Mr Percival and team were very welcoming and put me at total ease at all times. Miles knew exactly what I was hoping to achieve and talked me through the processes involved at great length. After thinking everything over for a while I made another appointment to talk through it all again, just to be very sure that I wanted to go ahead. Miles and his team were so kind and caring that I never once felt daft about asking questions or having Miles explain yet again something I'd already asked several times! The excellent reputation Mr Berry has is well deserved. I would have absolutely no hesitation in recommending him to others. I could not be happier with the finished result, I look and feel fabulous. I have had countless positive comments from friends and family who knew about the procedure and all say that I look fabulous, completely in proportion and very feminine. I had a brilliant experience at the clinic. Miles Berry put me at ease straight away and I felt confident going into surgery. The care while waiting for surgery, in hospital and the after care could not have been better. I am thrilled with my results and highly recommend Dr Berry. I researched Nick Percival in depth and on meeting him and his team I was not disappointed. The straightforward, but sensitive way he approached my surgery was reassuring and professional. I had been considering a tummy tuck for nearly 18 years and now, 6 months after my surgery I have never felt so comfortable in my own body. My scarring is fading, my tummy is flat, my confidence is restored. I wore a bikini for the first time in over a decade last summer, and I thank Nick and his team helping me feel like me again. I am so thankful for Nick's work. I feel so much happier in my everyday life, not being concerned at all if people are looking at me from different angles. I didn't need a large procedure, but inevitably I was still a little nervous and Nick was very reassuring, which made me feel at ease. If anyone knows I have had an operation on my nose they all comment on how natural it looks, which I think is one of the most important things, so Nick did amazingly with that. I will always be extremely thankful for his work and the time and care he put into it. Equally it was always such a pleasure to be greeted by Julia. I am very thankful and I am so pleased I got it done.